The conference would like to examine the legal history of the legal system within the Southeast Asia region in particular and others in general. Among the questions that the conference seeks to answer regarding countries legal system are the origin and basis of the legal system; development of legal, political and religious institutions and the evolution of the judicial system. The conference also invites presenters to answer questions regarding the role of religions in the development of legal systems. 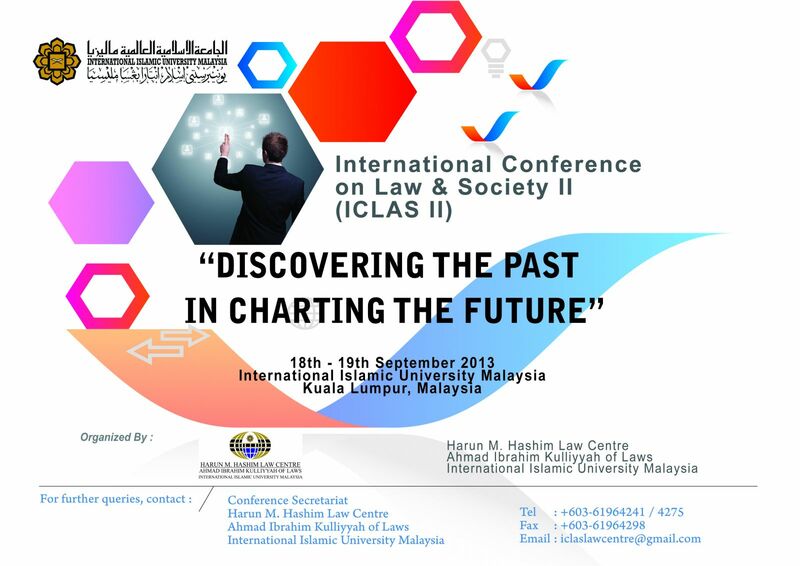 In line with the conference theme “Discovering the Past in Charting the Future”, it is hope that the papers will answer the question on the legal history and also will look at the possible future scenarios relating to the evolution and development of a legal system. 4. Other topics related to the conference theme. The organiser encourages the participation of all persons interested in legal history from all over the world and in particular from the Southeast Asia, whether established or junior scholars, academics or practitioners, government officials and NGO officers, by inviting applications as paper presenters and participants. Papers may provide an Asian perspective and/or international/comparative approaches on these topics. 1. A 250-word abstract of the proposed paper. 2. Brief biography including affiliation details, professional status, educational background, institutional affiliation, office address, telephone number, and e-mail address. Please also provide any information about presentations given, publications, and any other relevant information about your research experience. Submitted papers must not be under consideration for publication by any other journals or publishers. The languages of the conference are English and Malay.